Sometimes Funny Friday’s must come at the expense of one of my children! I am upstairs when I hear Turkey-man start screaming. This was the position I found him in. Help child or take picture first?? Is that really a question?! Of course I take a picture first! 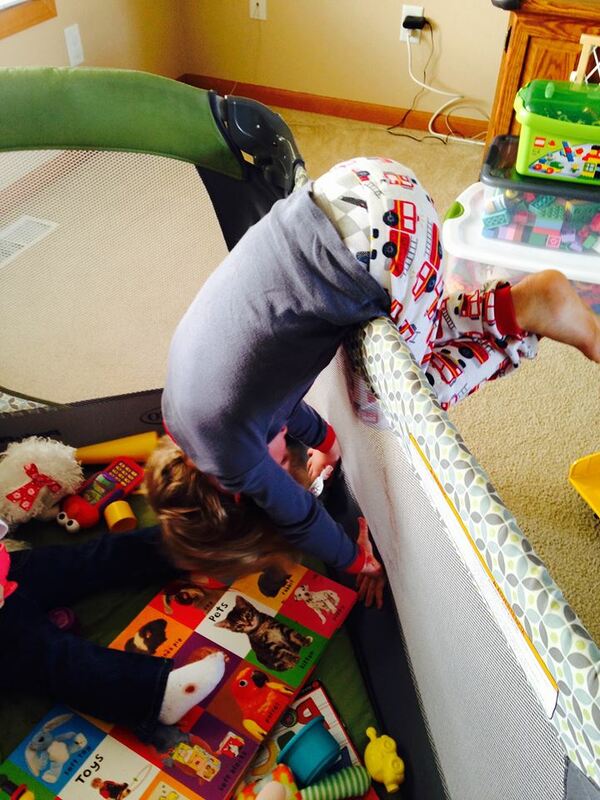 Next time maybe the knucklehead will not try to climb into the Pack-N-Play! 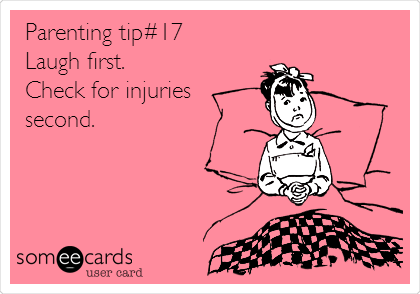 Always my default parenting style!! Of course the picture first! These are moments that are priceless!